No fireplace is complete without a gorgeous hearth rug for atmosphere and comfort. This Beige Contemporary Rectangular Wool Hearth Rug from Woodfield adds a traditional air to your home hearth, helping you create the perfect atmosphere to entertain family and friends. This 100% wool rug is tufted at a density of 51,840 tufts per square yard. It's fire-resistant, ensuring added safety and security for your guests around the fire. 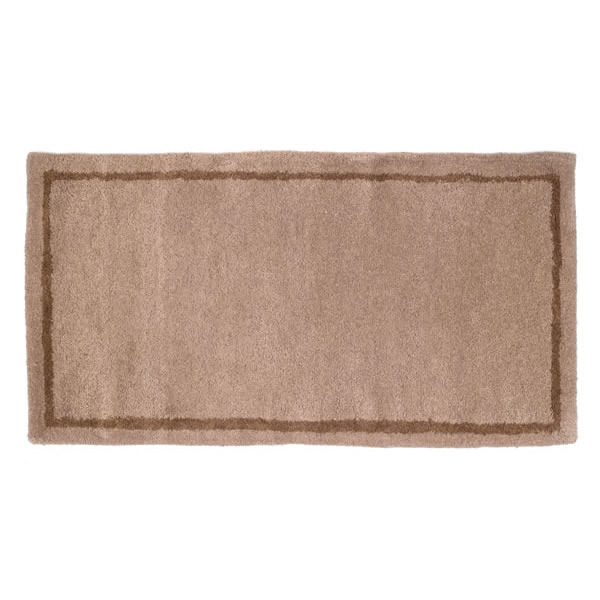 This rectangular rug measures 22" L x 44" W.
Good quality. Neutral, blends into the tile around the wood stove. I have a large oriental rug in the room and wanted something that didn't draw too much attention and this rug fit the bill.